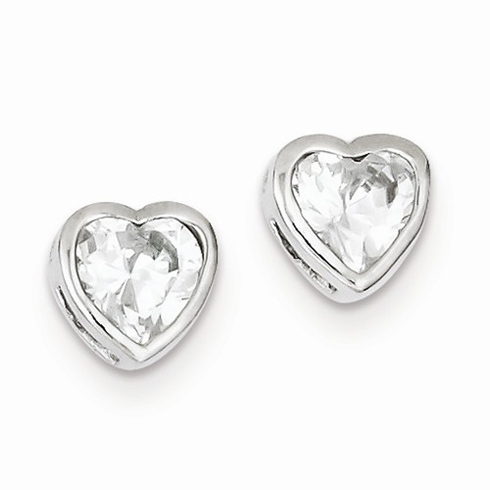 6mm x 6mm heart shaped cubic zirconias are bezel set in these stering silver stud earrings. Weight: 2 grams. Import.